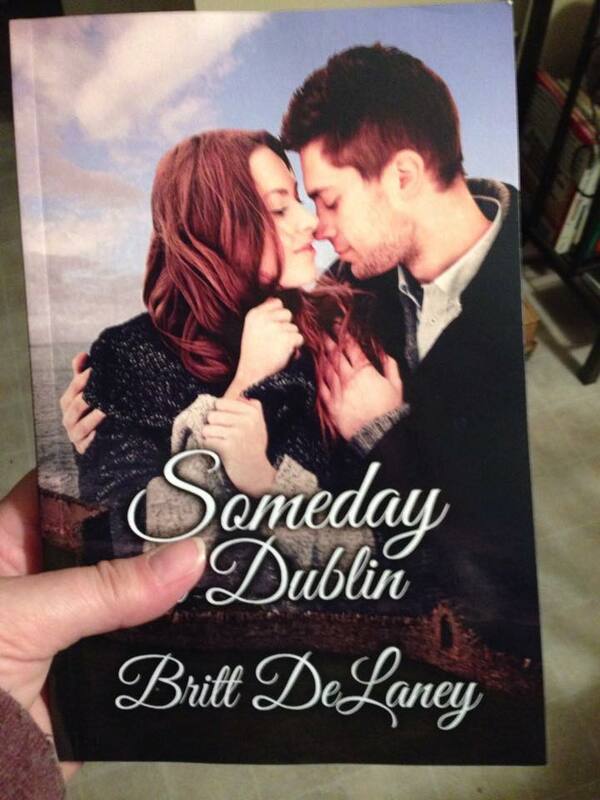 Yes, that’s the print copy proof of Someday In Dublin, held in my hot little hand. Oh, it’s marvelous! Something in the conversion process went awry – I’m not sure what because the template is letter perfect – and the first four chapters have double-spacing between the paragraphs. I don’t know why and they don’t know why and we don’t know why. And I caught two little typos that somehow slipped by me before. Ugh. So I need to powow with the CreateSpace team, whose suggestion is to change to a different size format and see if that makes a difference. Which is fine because I’d rather have a standard paperback size – this is a bit big for a good beach read size, I think. The cover looks beautiful, though. No pixelation, no blurring – it’s just lovely. So…..bottom line is that the print version will be delayed another week to two weeks. Sorry, but I can’t put it out there without it being awesome in all ways.